Over the life of the existing abatements, the loss comes to $27.3 million, he said, adding that this is the equivalent of 1,700 homes (valued at $200,000 each) not paying a dime to the school district. Sutton is seeking re-election to a third term in the Kansas House from the 43rd District. He is being challenged by Roberts in the Aug, 2 primary election. He also pointed out that the school district was never consulted regarding the abatements or the economic impact study regarding them. The abatements provided to the logistics park resulted in an 88 percent reduction in its property taxes. These figures not only reflect the impact to the school district but also the fire district and water district as well. “That's why I'm proposing legislation to require school districts, fire districts and water districts to approve the portion of an abatement that will impact them,” Sutton said. While that money will be lost to the school district, Sutton has been working in the legislature to see that the school district receives its fair share of state education dollars. He is currently vice chairman of the House Education Budget Committee. He has also worked with school districts for the last two years to develop cost-saving purchasing possibilities and laying the ground work for the new school finance formula. During the Special Session, Representative Sutton was part of the coalition that negotiated with school superintendents to solve the issue surrounding the remaining 1% of education funding. (2014) Don’t believe the naysayers who claim public education dollars have been reduced during the current administration in Topeka. 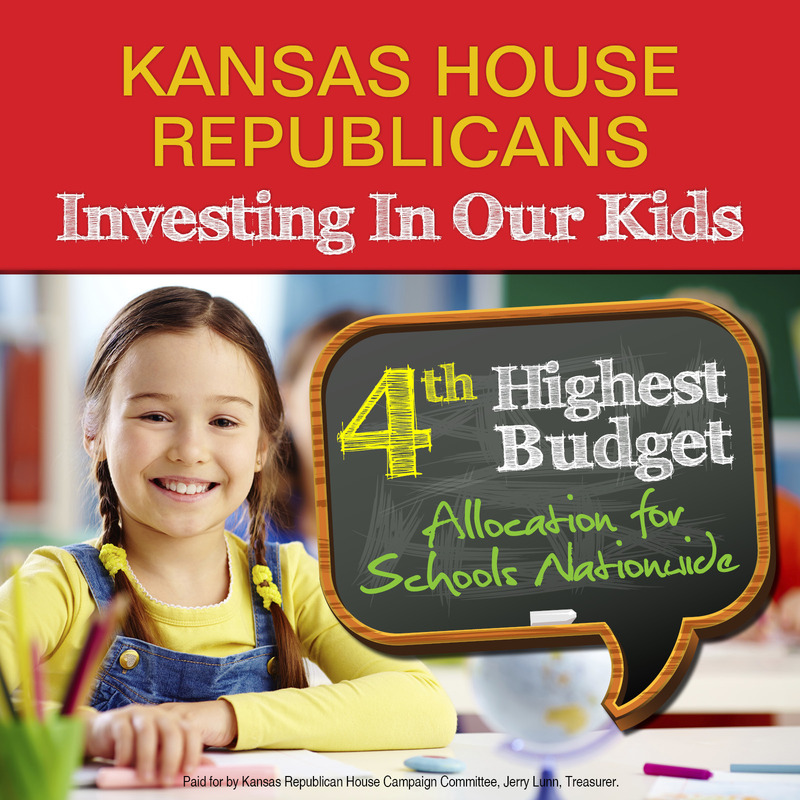 Democrats have said Kansas couldn’t cut taxes and increase school spending at the time. Well, they’ve been wrong again. In addition to cutting taxes, conservatives have increased school spending every year that Brownback has been governor. Public education spending in Kansas is at record levels, up $270 million since 2011. So, what’s the story in the Gardner Edgerton School District? Total expenditures in all funds are increasing for the 2014-2015 school year by 12 percent: $71,123,000 during the last school year compared to a legal maximum of $80,476,000 for the upcoming school year beginning in Sept.
What’s happening to the district’s property tax levy? It’s decreasing 13 percent from 79.17 mills to 69.5 mills. Some of the credit can go to legislators like Bill Sutton of Gardner, who supported a $129 million school funding bill this year along with a provision long sought by Johnson County for more local budget control. (March 25, 2016) Bill received a letter from Pam Stranathan, superintendent of the Gardner Edgerton School District, thanking him for passage of Senate Sub for HB 2655, the school finance bill. "We wanted to go out of our way to say thank you for working hard to serve the staff and students of USD 231. It was comforting to know that you were working to address language changes for S Sub for HB 2655 that will provide a tremendous benefit to our staff and students. While the Gardner Edgerton communities were supportive of the 2016 bond referendum, you provided much needed service in ensuring that funding was available for the opening of these new facilities." -Dismemberment Abortion Bill. The Legislature banned a particularly gruesome abortion method in which a living unborn child in her mother’s womb is ripped apart into pieces by an abortionist using sharp metal tools. D&E dismemberment abortions are as brutal as the partial-birth abortion method, which is now illegal in the United States and which was upheld in the Supreme Court. In light of the recent videos affirming the disgusting practices of Planned Parenthood, I hope this will help to reduce their baby parts sales initiative. -Constitutional Carry. In Kansas, as in a growing number of states, you no longer need governmental permission to exercise your 2nd Amendment rights. I still encourage firearms owners to practice with their weapons and to be knowledgeable of gun laws. Rights carry responsibilities, and this is your responsibility. - Kansas has ended the Renewable Portfolio Standard (RPS) mandate. Kansas utilities and customers will no longer be forced to purchase a percentage of their electricity from renewable sources. This will give utility companies more flexibility and lower costs for consumers. As a member of the House Energy and Environment Committee, I’ve been working to get this ended since 2013. It finally happened. - New legislation will require lobbyists to report how much taxpayer money they receive for lobbying on behalf of government entities, and Kansans will see how much of their tax money goes to lobby legislators in Topeka. - As part of the President's "clean power plan" the EPA will publish limit of carbon emissions by state. With the passage and Governor's signature on HB 2233, Kansas now has a mechanism in place to provide a response to the EPA overreach that considers cost, electric grid reliability, and Kansas' legal position. - A major effort by proponents of big government to expand Obamacare in Kansas, failed to gain traction during the session. Their plan to expand Medicaid to provide benefits to thousands of able-bodied, working age adults is projected to cost $2.4 billion over the next decade. That’s money that Kansas taxpayers can’t afford. - Since the passage of tax reform in 2012, hundreds of small businesses have started or moved to Kansas, bringing thousands of new jobs to the state. The Legislature recognized that repealing the rules for small business taxes would be seen as a 'bait-and-switch' on businesses that have moved to Kansas, and companies around the country considering relocation. - Our 20 year old school funding formula has become so convoluted that schools in some of the wealthiest districts are receiving additional funding intended for poorer districts. The Legislature took the unprecedented step of giving school districts block grants for the next two years, while the Legislature goes to work bringing the school funding formula into the 21st Century. As Vice-Chair of the House Education Budget Committee, I will be in the center of the development of the new formula.